The most obvious difference between Apple and Microsoft is that the latter always provides advance notice of their latest operating system way before it is available in shelves. Whether it's a marketing strategy or merely making use of feedback from early adopters to further iron out bugs, Microsoft definitely gets users around the world excited about their upcoming products. Subscribers to Microsoft's TechNet were the earliest ones to gain access to the Windows Vista operating system. Just last week, Microsoft decided to release Vista Build 5384.4 to consumers. We knew it was going to be a big hit and therefore instantly signed up to download the enormous 3.5GB ISO file. Who could imagine that an operating system would take up this much space, even when compressed? To be fair, the size of 3.5GB is actually for the Windows Vista Ultimate ISO, which includes all the optional components. The actual core of the operating system is not quite this large. But that's really not the biggest ISO available. Those downloading 64-bit Vista for their 64-bit processors would be hard-pressed to download the even more massive 4.4GB ISO file! Luckily, broadband connectivity makes downloading large files like this a lot less painful. We managed to download the entire file in just 20 hours. The 3.5GB ISO file can easily be burned into a DVD before being installed. 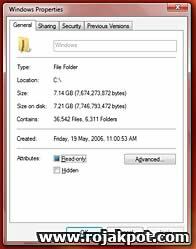 Those without DVD burners can extract the ISO (using data compression software like WinRAR) to a folder. They can then run the “Setup.exe” file from there. We read in some forums that people have actually managed to split the ISO onto a few CDs and successfully installed Windows Vista from those CDs. The best way, of course, is to install it right from the DVD itself. To examine its performance, we not only installed Windows Vista on a desktop, we also installed it on a notebook. Here are the specifications for both the desktop as well as the notebook. On the desktop PC, we installed Vista from within Windows XP as it did not have a DVD reader. We chose the multi-boot configuration. On our notebook, we performed a clean installation. Its installation started in the same way as Windows XP - by prompting for an installation partition and then the product ID. Unlike Windows XP however, the entire installation process was completely automated thereafter. Both installations took about one and a half hours to complete. That's pretty long, if you ask us. After the installation process was over, all you have to do was type in your username and password and Vista is good to go! Our clean installation took up a whopping 7.5GB of hard drive space, so be prepared to upgrade or clean out your hard drive! Again, it should be noted that other versions of Vista may require less space.